The obesity epidemic continues to increase and a group of medical organizations continue to figure out ways to combat this disease. 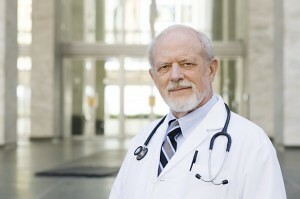 The American College of Cardiology (ACC), the American Heart Association (AHA), and the National Heart, Lung, and Blood Institute (NHLBI) have all joined forces to put together a road map for medical practitioners to properly assess cardiovascular risk, to recommend lifestyle modifications to reduce cardiovascular risk, and to offer techniques to manage blood cholesterol for overweight and obese adults. Unlike other guidelines that are full of clinical information, this document gives specific recommendations that are focused on the critical questions in each topic. The joint guideline was published simultaneously in Obesity: Journal of the Obesity Society, Journal of the American Heart Association, and the Journal of the American College of Cardiology and Obesity. The medical profession is urging physicians to be more aggressive and involved in helping patients lose those extra pounds. Donna Ryan, M.D., co-chair of the writing committee and professor emeritus at Louisiana State University’s Pennington Biomedical Research Center, explains that weight loss is about changing the negative behaviors associated with food and physical activity. She emphasizes that weight loss is not about willpower. The 70 page guideline report is available to the public and provides a summary of all the current literature that shows the risks of obesity and highlights all the benefits of weight loss. Different diets for weight loss are discussed as well as different lifestyle interventions for weight loss and weight loss maintenance. As a last resort, it also relays the benefits and risk of bariatric surgery for the super obese. This is one of four cardiovascular disease prevention guidelines being released by the American Heart Association and American College of Cardiology. The other guidelines will address lifestyle management, cholesterol, and cardiovascular risk assessment. Don’t get overwhelmed by the long document. It has an easy to use checklist for medical practitioners to utilize during check ups that make it foolproof. The most involved part is monitoring and following up with the patient once the weight loss program has been established. There are three components to developing an individualized weight loss plan. The individual should follow a moderately reduced calorie diet, increase his physical activity through an organized program, and use behavioral strategies to help him achieve and maintain a healthy body weight. The guideline recommends that the best way to achieve these goals is by working directly with trained professionals such as you doctor, a registered dietitian, behavioral psychologist, and a weight loss counselor. Weight loss counselors provide specific effective strategies to lose weight. Overweight adults are at a higher risk for cardiovascular diseases like diabetes, high blood pressure, and high cholesterol. In the United States there nearly 155 million adults who are considered overweight or obese. Overweight is defined as a body mass index or BMI of 25-29.9. Obese is defined as a body mass index or BMI of 30 or higher. BMI is a measurement of body weight relative to the individual’s height. BMI estimates excess body fat and will be the standard used to identify adults who are at risk for heart disease and stroke because of their weight. The evidence shows the greater the BMI, the higher the risk for coronary heart disease, stroke, type 2 diabetes and mortality. Once a patient’s BMI has been assessed and identified as high risk then the health provider will then recommend a specific diet for weight loss. They recommend 3 different diet strategies. The first one is a moderately reduced calorie diet of 1200-1500 kcal/day for women and 1500-1800 kcals/day for men. The next is prescribing a 500 kcal/day or 750 kcal/day energy deficit. The last one focuses on cutting out junk such as high carbohydrate foods, low-fiber foods, and high fat foods. Comprehensive lifestyle programs help patients adhere to lower calorie diets and increased physical activity. The are not widely available. Researchers found the most effective behavior change include programs that meet face-to face 2-3 times a month for at least 6 months. The guideline does advise bariatric surgery as an option for adults with a BMI of 40 or higher and have two other cardiovascular risks such as diabetes or high blood pressure. Ultimately, they hope that by laying out the scientific evidence that medically supervised weight loss works and reduces the the risk factors for cardiovascular disease that eventually weight loss programs will be reimbursed by all third-party payers.